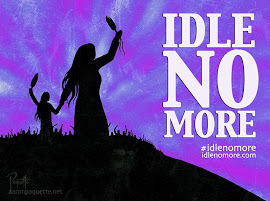 For images/video and a recap of the day, see our post at this link. 12-2pm -- Art in the Park (Harbourside Park). Snow sculptures, music, magicians and clowns, as well as plenty of hot chocolate to keep us warm! Family event. 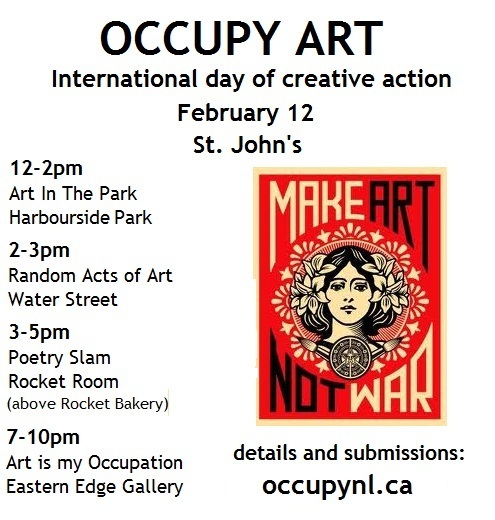 2-3pm -- Random Acts of Art (Water Street). Buskers, banners, guerrilla theater, stomp drumming and more. 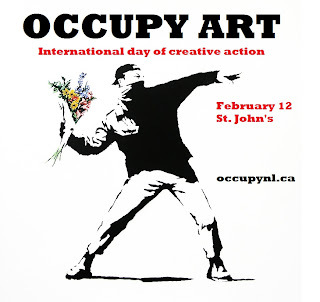 For an hour we will set up an artistic insurrection downtown! 3-5pm -- Poetry Slam (Rocket Room, above Rocket Bakery). An open event for local poets, storytellers, and spoken word artists. 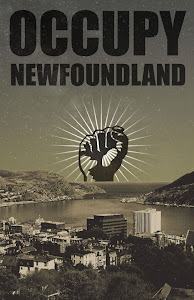 Come out and cheer on some of the province's most innovative wordsmiths. If you want to participate and spin us a yarn, please keep your poem or story under 5 mins in performance time so we can accommodate as many performers as possible. 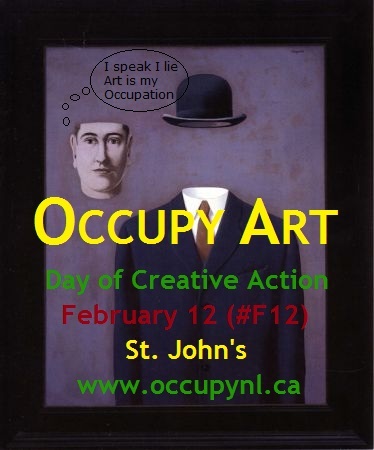 7-10pm -- Art is my Occupation (Eastern Edge Gallery). This event includes performances and presentation of works by local artists working in various mediums. The evening show provides a forum for entertainment as well as education, a few hours when artists can come together to celebrate successes as well as to discuss common pitfalls and difficulties of the artistic occupation. 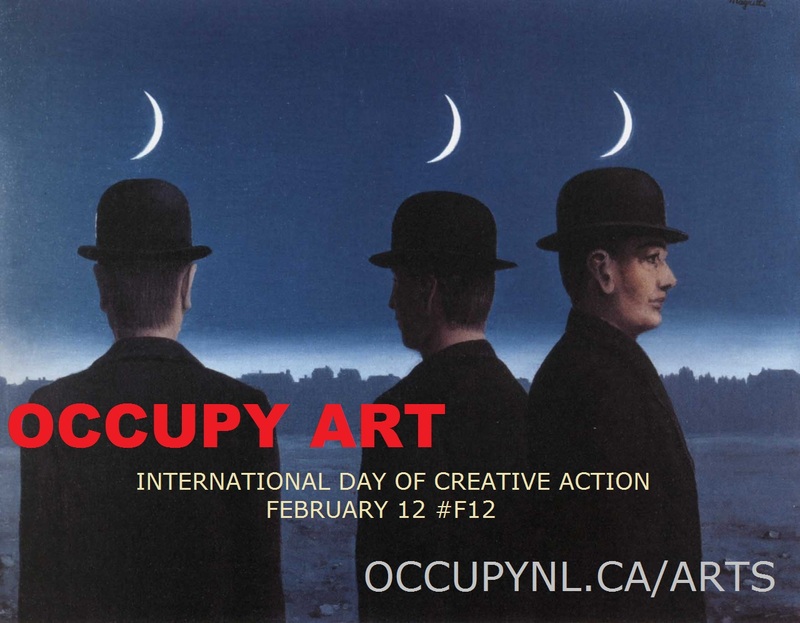 Occupy NL invites artists of any stripe to take part in our events. No matter what medium you work in or how much work you have produced, we want to hear from you! 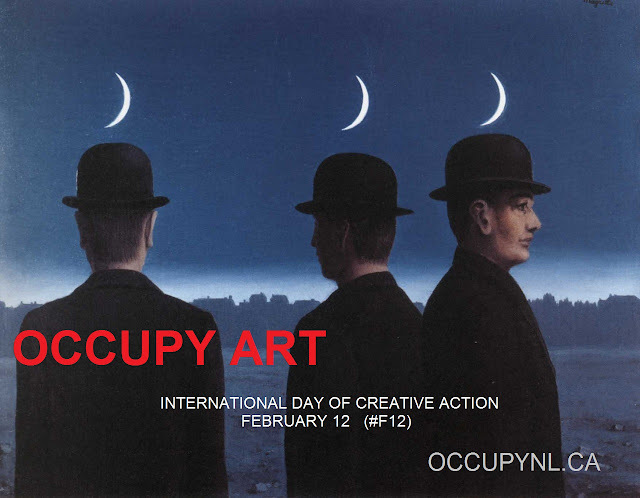 Artists, please see the call to creative action. Gearing up for an interesting day. HOpe there's enough snow for snow sculptures but not enough to be annoying. People should bring down their cameras so that we can post videos of the day's events!